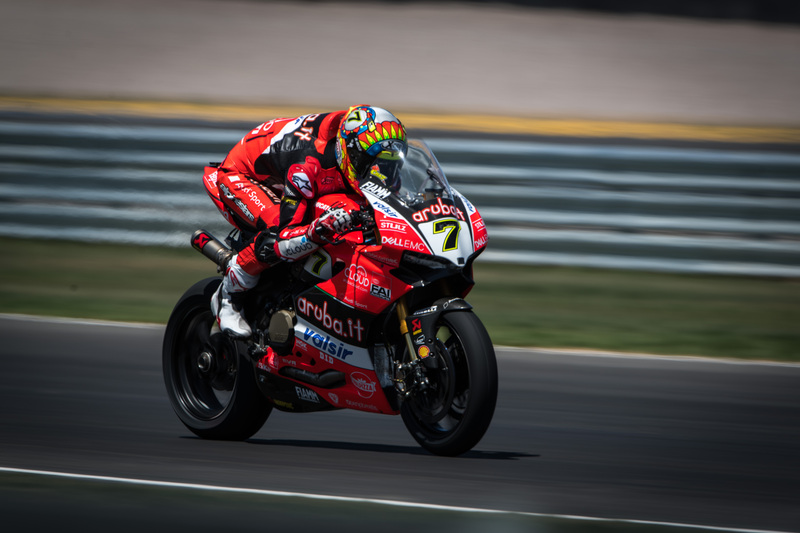 The Aruba.it Racing – Ducati team resumed action today at Villicum (Argentina), home of the twelfth round of the 2018 WorldSBK Championship, which debuts in South America. Tackling a new track, the riders and the team started the work on the setup ahead of the races with positive feedback and, after three free-practice sessions, Marco Melandri and Chaz Davies are respectively in second and seventh position. Melandri had a positive start to its quest and lapped at the front since the morning to finish second, only 0.228 seconds away from the top with a personal best of 1:40.142. Davies also progressively improved his lap times and posted a 1:40.741 (+0.827). Both riders thus gained direct access to Superpole 2. The Aruba.it Racing – Ducati will resume action Saturday, October 13th, at 10:45 local time (CET -5) for one last free-practice session ahead of Superpole and Race 1, which is scheduled to start at 16:00 local time.